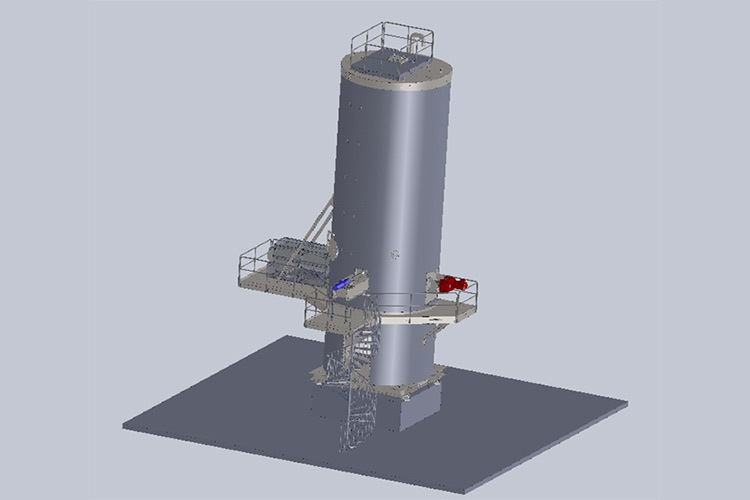 Dry Sludge Silo 100 m3 with discharge equipment. Saxwerk delivered in 2017 one new dry sludge silo for the water treatment plant, Häggesta in Bollnäs Sweden. Saxwerk has delivered, installed and commissioning one sludge silo consisting of a steel silo, sliding frame, discharge screw type DA. The system unload sludge to a lorry outside the silo.